Clifford W. Stevens is a principal with Neumiller & Beardslee whose practice areas focus on general business and commercial litigation in state and federal courts. Since he began his legal career in 1990, Mr. Stevens has practiced in diverse areas of law including extensive experience in business and real estate matters with a particular emphasis on litigation. Mr. Stevens has been recognized as a top lawyer in Northern California by Super Lawyers magazine since 2007 (a designation reserved for less than 5% of lawyers). Mr. Stevens is active in the community and has served on the Business Council of San Joaquin County, the San Joaquin San Joaquin County Bar Association Board of Governors, the Brookside West Owners’ Association, and has served in various leadership positions for the American Cancer Society. Mr. Stevens has also previously served on the Board of Directors for the Stockton Shelter for the Homeless and the Library and Literacy Foundation of San Joaquin County. 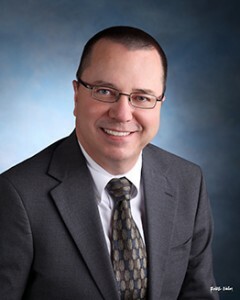 Mr. Stevens has also served as the managing shareholder of Neumiller & Beardslee between 2003 and 2019. In 1987, Mr. Stevens obtained his Bachelor of Arts degree in Political Science from California State University, Fullerton and in 1990, earned his Juris Doctor from University of the Pacific, McGeorge School of Law, where he was a member of Order of the Barristers. While at McGeorge, he was a staff writer from 1988-1989, and the Legislation Editor and on the Board of Editors from 1989-1990, for the Pacific Law Journal. Mr. Stevens was admitted to practice in California in 1990 and is admitted to practice in all federal and state courts in the State of California. He is a member of the Federal Bar, the American Bar, and both the San Joaquin County and Sacramento County Bar Associations, as well as the State Bar of California.